“Is it possible to time the market cycle to capture big gains? Like many controversial topics in investing, there is no real professional consensus on market timing. Academics claim that it’s not possible, while traders and chartists swear by the idea. 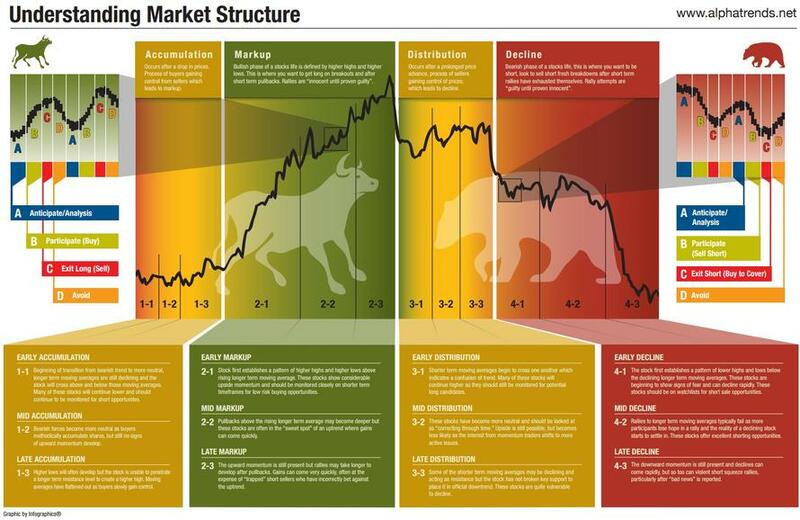 The following infographic explains the four important phases of market trends, based on the methodology of the famous stock market authority Richard Wyckoff. 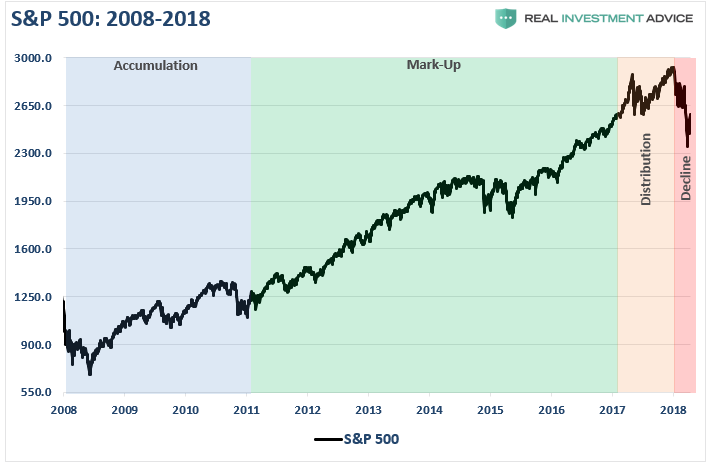 Let’s take a look at the past two full-market cycles, using Wyckoff’s methodology, as compared to the current post-financial-crisis half-cycle. 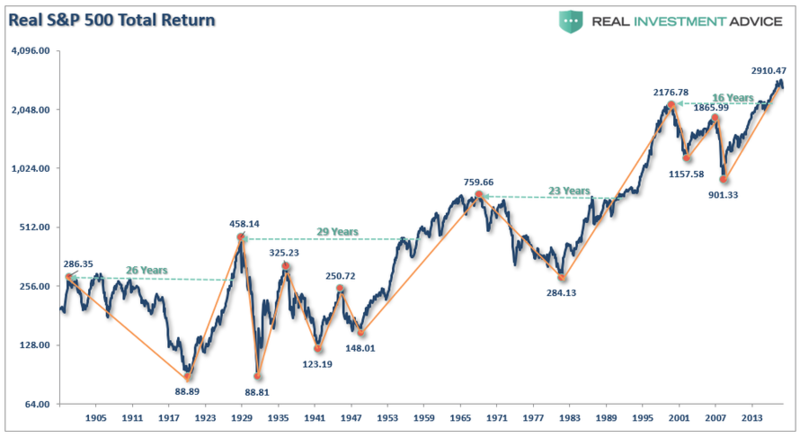 While actual market cycles will not exactly replicate the chart above, you can clearly see Wyckoff’s theory in action. 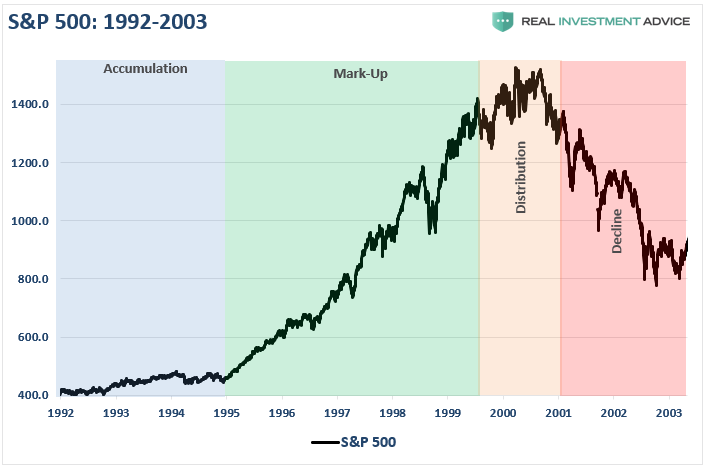 The accumulation phase, following the 1991 recessionary environment was evident as it preceded the “internet trading boom” and the rise of the “dot.com” bubble from 1995-1999. “Following the recession of 1991, the Federal Reserve drastically lowered interest rates to spur economic growth. However, the two events which laid the foundation for the ‘dot.com’ crisis was the rule-change which allowed the nations pension funds to own equities and the repeal of Glass-Steagall which unleashed Wall Street upon a nation of unsuspecting investors. 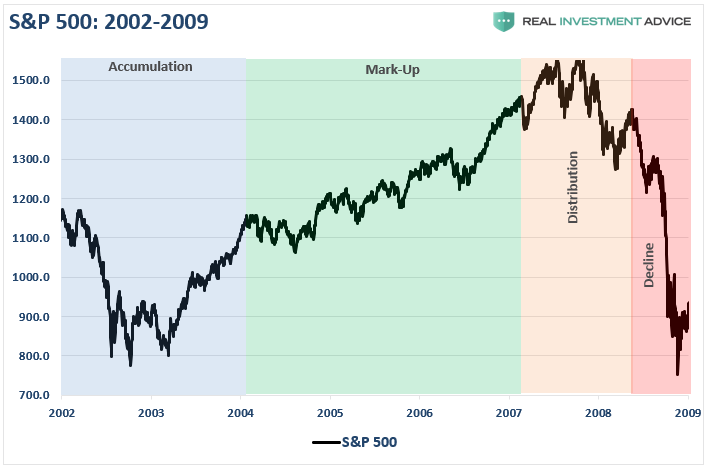 The distribution phase became evident in early-2000 as stocks began to struggle. While the names of Enron, WorldCom, Global Crossing, Lucent Technologies, Nortel, Sun Micro, and a host of others are “ghosts of the past,” relics of an era the majority of investors in the market today are unaware of, they were the poster children for the “greed and excess” of the preceding bull market frenzy. 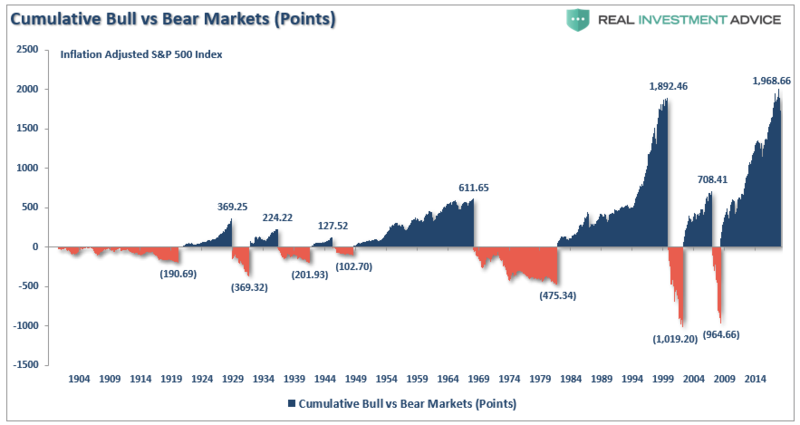 As the distribution phase gained traction, it is worth remembering the media and Wall Street were touting the continuation of the bull market indefinitely into the future. Following the “dot.com” crash investors had all learned their lessons about the value of managing risk in portfolios, not chasing returns and focusing on capital preservation as the core for long-term investing. So, here we are, a decade into the current economic recovery and a market that has risen steadily on the back of excessively accommodative monetary policy and massive liquidity injections by Central Banks globally. While “passive indexing” sounds like a winning approach to “pace” the markets during an advance, it is worth remembering that approach will also “pace” the decline. The recent sell-off should have been a wake-up call to just how quickly things can change and how damaging they can be.